5 Essential quotes for language learners, with vocabulary and language notes. Free downloadable images with the quotes. The answer to last article’s Snow Patrol song gap fill activity. A recommended watching and listening practice. Rita Pierson Tedtalk. A quote is the exact words someone has said. For example, to quote Obama, “Yes, we can”. We can also say it is quotation from his speech. 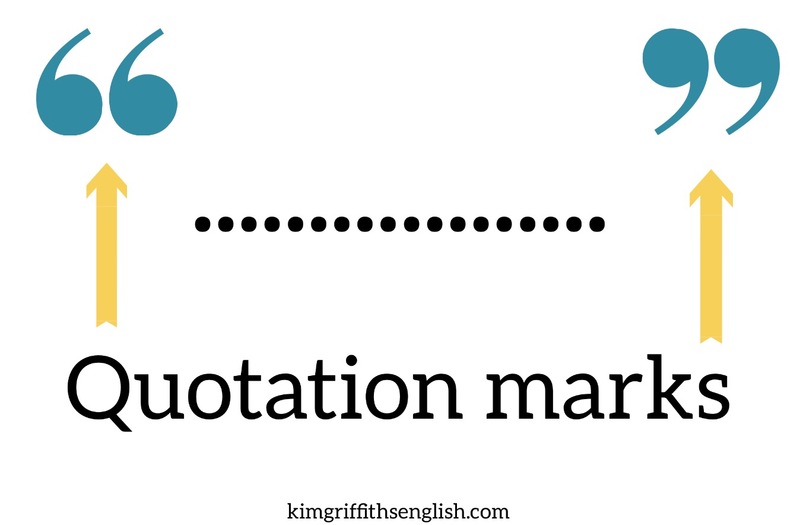 These punctuation marks are called quotation marks ” ” , and show when we are using direct speech. 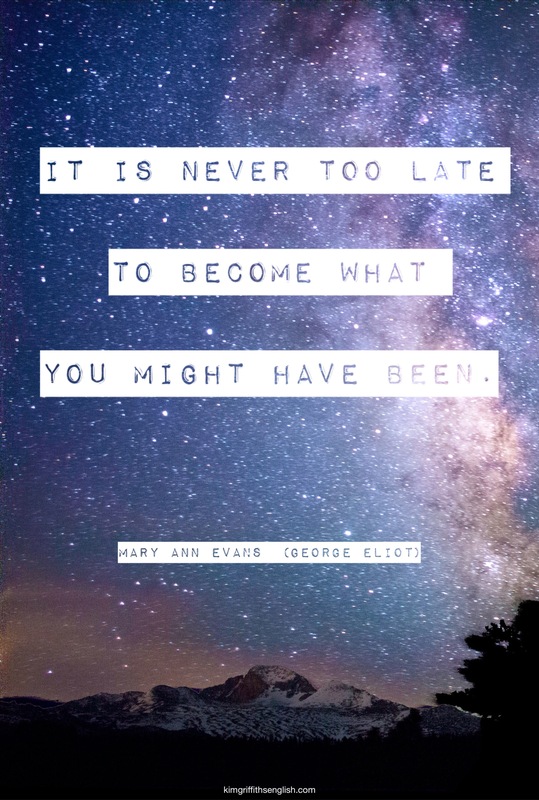 This quote by the author Mary Ann Evans, better known as George Eliot, tells us that we can start something new always and that it is never too late to change how we are or what we do. Her most famous novels are Mill on the Floss, Silas Marner, and Middlemarch. This quote from Bob Goff is great for stopping us comparing ourselves to other learners and their progress compared to our own, since that can be demotivating. He tells us to not compare ourselves to others and to focus happily one our own goals and objectives. 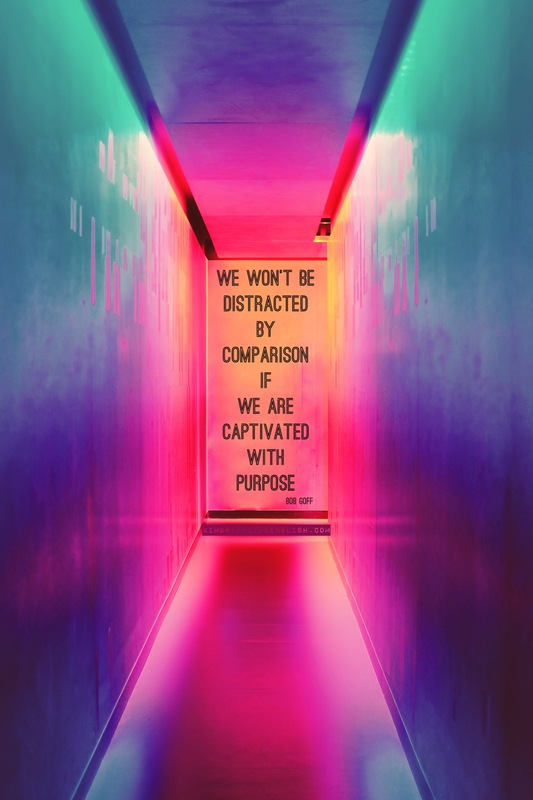 *to be captivated with purpose = to focus clearly and happily on our objectives/goals. 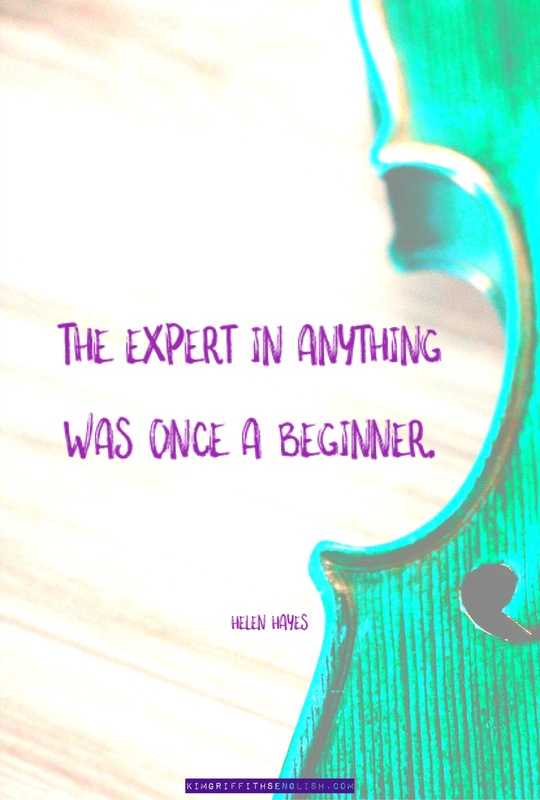 Helen Hayes let’s us know that it is ok to be a beginner and to not know anything at the start. Everyone is the same at the beginning of learning anything new. This quote from Robert Collier says that progress comes from consistant effort. 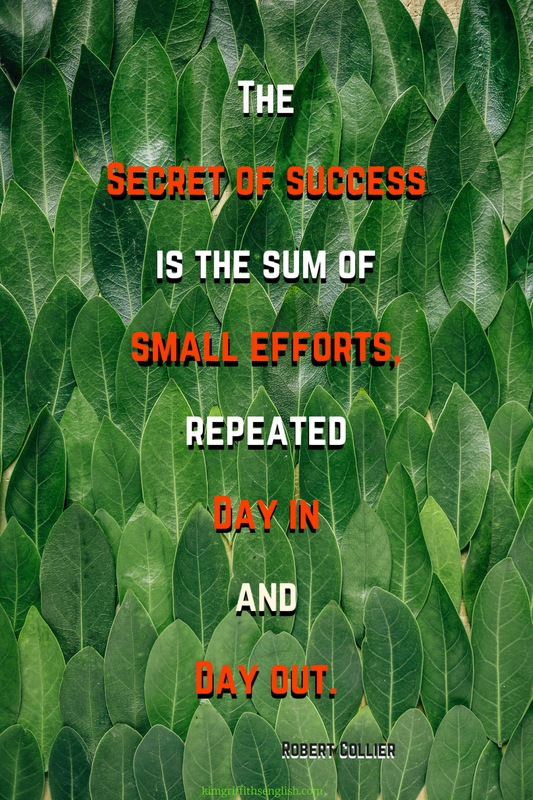 However small those efforts are they must be regular. *is the sum of = is the result of. * day in and day out = all the day. This great quote from David A. Bednar tells us that any progress is brilliant! Which we must remember when we are studying English. Sometimes we feel we have improved rapidly and other times that we have only learnt 1 new word. Both are an improvement in your English and that is progress. 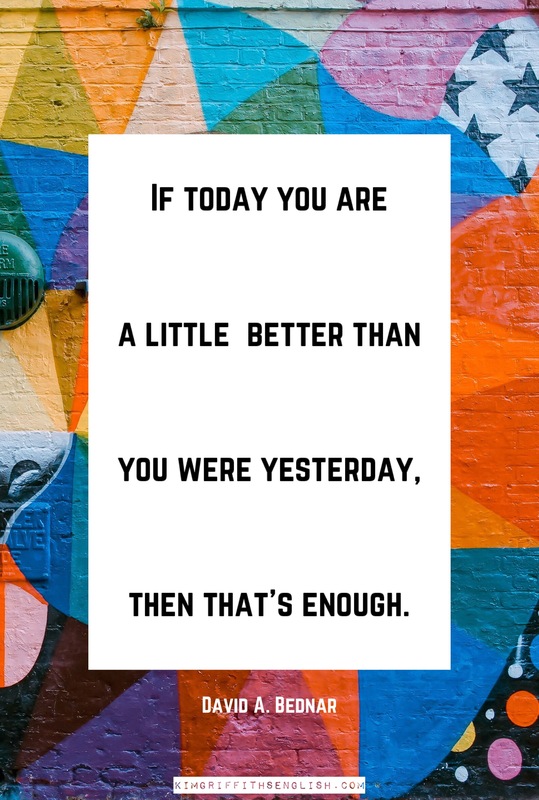 This isn’t to say that you shouldn’t aim to improve a lot! We can start new things whenever we want, it is never too late. Don’t compare yourself to other learners, focus on your own objectives. It is ok to not know anything when you start. Everyone is the same at the beginning. You have to be constant in your studies and do regular practice and study sessions to improve. Any improvement and progress is better than none and shows you are trying. 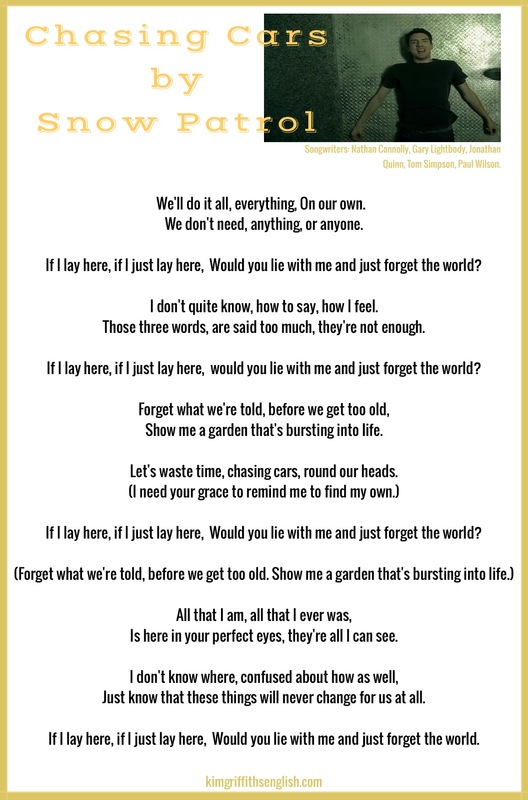 The answers to the last article’s Snow Patrol song gap fill activity. To visit the article “Is it snowing where you are?” Which includes this listening activity click here. There are subtitles available in many different languages if you need them and also a transcript (what she says written down). To watch the talk on Ted talks click here. The 5 images I have made with the quotes are all ok for you to download for free and print if you like!